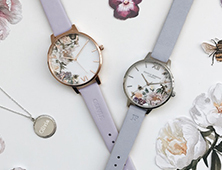 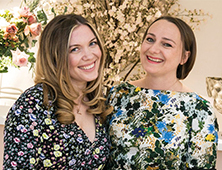 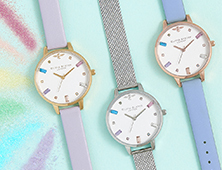 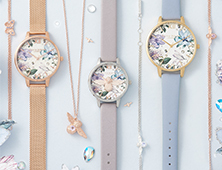 Olivia Burton's After Dark watch is an edgy way to wear the floral trend. 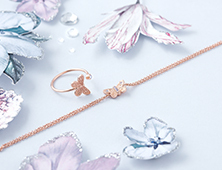 Hand-designed in London, the piece features blooms and butterflies in pretty purple tones. 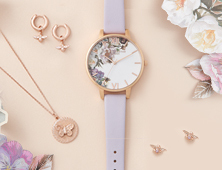 It's accented with rose gold markers and fastens with a soft rose suede strap. 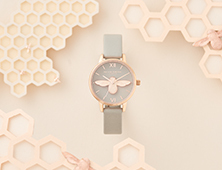 A matte black case and buckle add just the right amount of attitude.